In February I published a blog about a California court that would not take judicial notice of a document on a Federal Agency website. 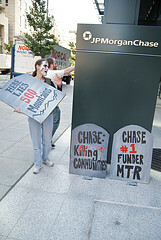 It dealt with the FDIC sale of Washington Mutual mortgage loan accounts to JP Morgan Chase. 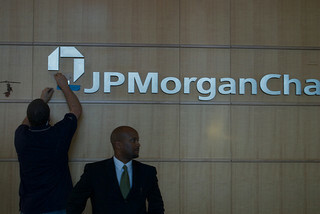 JPMorgan was conveyed all the assets, but none of the liabilities. That means that JPMorgan could foreclose, but the borrower could not make any claims against JP Morgan that they had against WaMu. In a recent court decision, a different court did take judicial notice of that same document on the website. The difference was due both the difference in the courts’ approaches, plus the borrowers’ attorneys’ arguments. A borrower or lender with questions about the different approaches should contact an experienced Sacramento real estate and business attorney, to be sure they do not get the same surprise. “Judicial notice” is the court’s recognition of the existence of a matter of law or fact without the necessity of formal proof. It can be described as a substitute for (formal) proof, a judicial shortcut, doing away with the formal necessity for evidence. Judicial notice is limited to matters which are indisputably true. A request for judicial notice can be defeated by showing the matter is reasonably subject to dispute. In California state court, Judicial Notice is limited by the evidence code, indicating matters which the court must take notice of, and matters which the court may take notice of. Federal Courts have a broader discretion as to what they may take judicial notice of. In Michael D. Scott v. JPMorgan Chase Bank (2013 WL 1098436), the borrower had a $975,000 construction loan. Washington Mutual acquired the loan, was taken over by the FDIC, and JPMorgan acquired the loan, and foreclosed. Scott filed suit, making several claims against JPMorgan. JP Morgan claimed that it had not acquired WaMu’s liabilities along with the assets, and sought judicial notice of the Purchase and Assumption Agreement, as posted on the FDIC web site. The court first noted that, when judicial notice of a contact, which is a ‘legally operative’ document, the court can take notice of its existence, plus its legal effect. The court said Jolley was different – there, the borrower objected to the PA Agreement, with a declaration form someone who had knowledge of the original document, and stated that what was submitted was not the actual P&A Agreement. Here, Scott did not dispute that the copy attached in this case, and on the web site, is the actual P&A Agreement. Thus, in Jolley, it was reasonably subject to dispute, but not in this case. The Court also noted that what was being taken notice of was not the contractual form of the document, but the official act of transfer that it evinces, bring it in line with Evidence Code section 452(c). Thus, it took judicial notice of the fact that JPMorgan acquired the assets, but not the liabilities. The borrower must sue the FDIC, instead.